Last time, when my last book (Tea for two and a piece of cake) came out, I had hosted a writing prompt called 'Tea for two Tuesdays' which got a huge response. Following the success of that, I am now hosting 'Wish list Wednesdays'. It will run till the end of January. Every Wednesday, starting today, there will be a creative prompt. What do you have to do to take part? You just have to answer the prompt on your blogs and leave a link, linking the specific post where you have answered the prompt in your blog, in the gadget below. That's it! Use as many words as you want! Say as much or as little as you want. If you are participating, you can let all of us know by leaving a link. (do not link your whole blog, just link the specific post). In the 'Link Title' field, use either your name or the name of your blog, whatever you prefer.Please do not post any random links that are not relevant--they will be promptly deleted! And yes, if you don't have a blog and still want to take part, please feel free to use my comment box liberally or frugally ! Whatever you prefer :). ps: There is a lot of such fun-stuff happening on the FB page of the book too. . So please look up the FB page (if you haven't already). 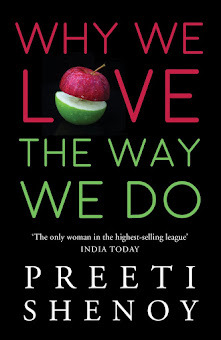 I am really excited about your new book, I am ordering it right away.......... yayayay I'll get an autographed copy. Hey Preeti...loved the prompt and finished mine . Will get hold of your new book. All the best! Hey, I really like your books. N wanna participate in the Wednesday quest......Can u plz tell me how can i do it??? If you have a blog, just post an entry in your blog, else leave me a comment here. That's it! I have submitted my post, but its not appearing ???? Wait for a little bit--it will appear. 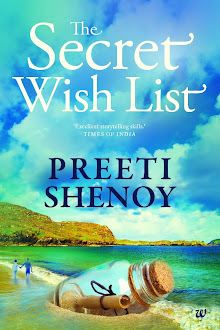 Done with it Preeti...eagerly waiting for the book yaar...ab aur wait nahi kiya jata. But why me as a role model?! I am surprised! i would like to have the determination to overcome the grief of separation..
Preeti, I submitted my link on Saturday and even today. it does not appear for some reason. And I wish all success for your new book !!! I am sure that it would reach many, just like your other two books. All the best !!! I tried linking to the "My one wish that came true and gave me immense joy" prompt, but I just cannot..
And all the very best to your new book. Am sure it will touch many people, just like your other two books.